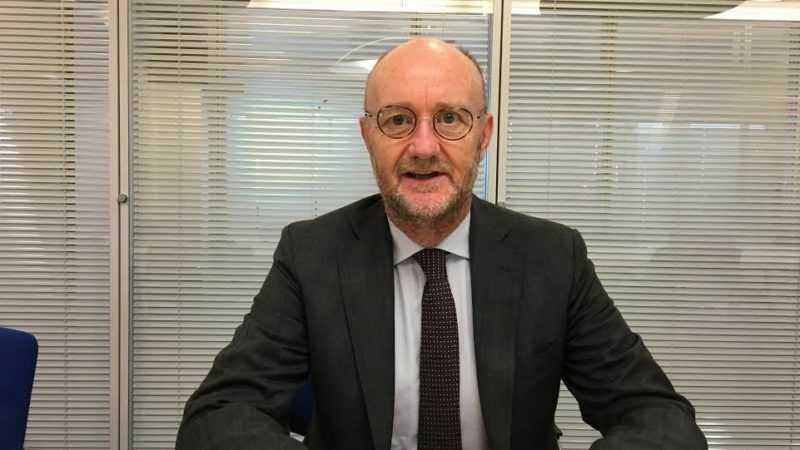 Simplified food label schemes like the UK-style traffic light will provide EU consumers with clear and simple elements and help them make informed choices, Marco Settembri told EURACTIV.com in an interview. Marco Settembri is Nestlé’s CEO Zone Europe, Middle East and North Africa (EMENA) and a member of the board of FoodDrinkEurope, which represents the European food and drink industry. He spoke to EURACTIV’s Sarantis Michalopoulos. The food and drink trade between the EU and the UK is massive and many predict a possible disruption unless a quick Brexit deal is reached. What is your opinion? What would you advise the negotiators from both sides to do? We in FoodDrinkEurope understand that there is an emotional political discussion but negotiators need to also understand the economic impact of their decision. Both sides need to be constructive because if we only focus on our own interest, it will never work. Food and drinks in Europe are the primary industrial sector and it should be a priority both for the UK and the EU to find a common ground. We need free circulation and to avoid the bureaucracy that could be created by customs and different regulations. The beauty of the single market we have now is, in fact, that we have the consumer in the centre. We created common regulations also in the interest of consumers. 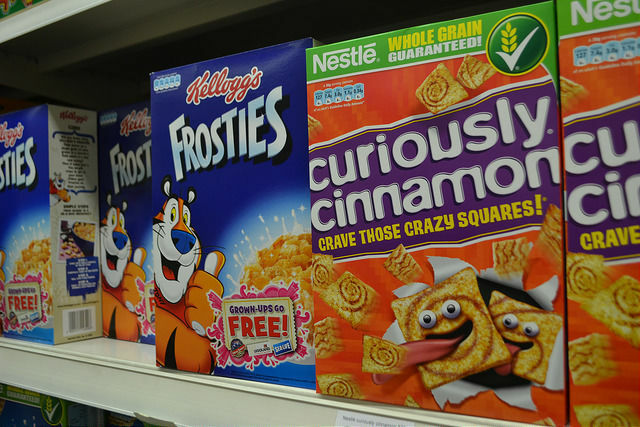 In March, six industry giants, including Nestlé, launched their own push to have UK-style traffic light labels in Europe. Southern European countries oppose this system, claiming it would stigmatise the Mediterranean diet. Are you planning to go ahead with this? Do you think that such a scheme would be “unfair” to the Mediterranean diet? The action we have taken is not to impose things. What we called for was European nutritional labelling. We pledged for a European nutrition policy. The single mMarket took centre stage in the creation of the European Community. What we want is one common labelling and we picked this system as a starting point because it was already used in the UK. There are some advantages in this UK labelling, such as the colour-code. We have to admit that the monochrome GDA (Guideline Daily Amounts) that was introduced was already a step forward but it was not informing consumers enough. All consumer surveys suggest that people do not understand it while on the contrary, the colour-code is helping them [consumers]. A UK scheme that labels pre-packed food in red, amber or green according to their level of healthiness was rejected by Mediterranean countries at EU level but is slowly gaining momentum across Europe. The portion is the key element. If I put a gram of sugar in my portion of food, it’s only a small percentage and therefore it will never be red, but green. The Mediterraneans are invited to join the task force we just set up. We didn’t say the process will be the following and that’s it. We pledged for something. Let me also tell you that there is not a bad diet and a good diet. It’s a question of balance and portion. This is the kind of consumer education and information we need to provide people with. If they wish to consume 1 kilo of cheese every day they should be free to do so, it’s still their choice, but they have to be informed. So by simplifying food labels, consumers will be better informed? Yes, the consumer will have a kind of interpretative labelling. We want to empower the consumer to choose based on some clear and simple elements. 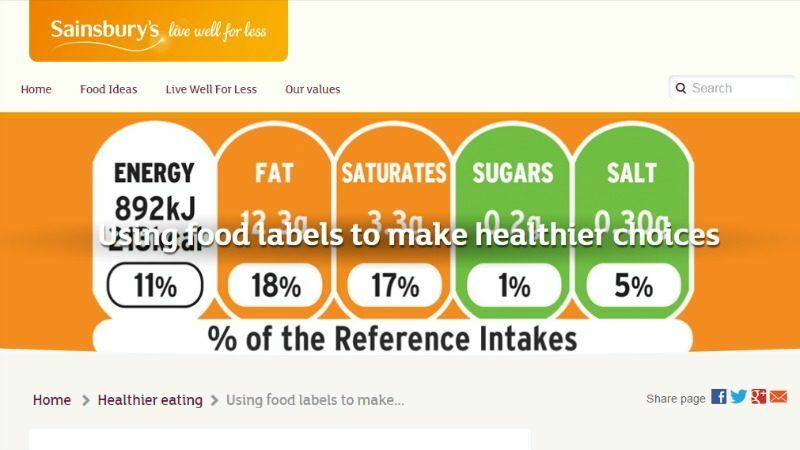 By simplifying food labels consumers will be better informed. For instance, you come from Greece and I come from Italy and we are used to some kind of food and diet. What is good for me is not necessarily good for everybody. 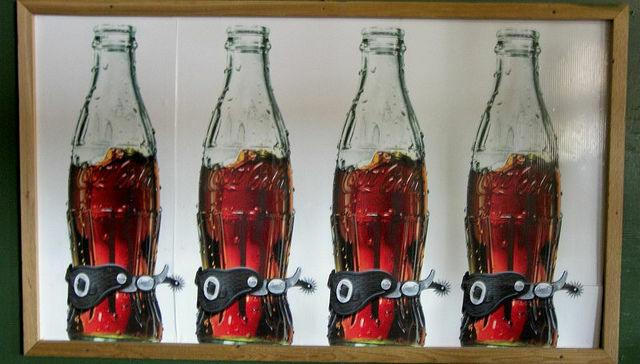 Governments can steer consumers towards healthier choices by supporting the reformulation of food ingredients, rather than imposing “discriminatory” taxes, according to the soft drinks industry. In an effort to respond to public health concerns, the food business has committed to reformulating products to contain less salt, fats or sugars. Do you fear an increase of food taxes on a national level in the long term? I do believe that the industry and the governments together have to play their part in decreasing overweight and obesity. We know that the reformulation and the portions are the two best things to have an effect on consumers’ diet. We need to continue the reformulation and we have to take a step ahead. That’s why Nestle is committed to reducing the sugar for another 18.000 tonnes in its products in Europe, which represents a further 5% reduction. In this way, we also see that we are educating consumers to choose products with less sugar and fat. We are investing through this voluntary action in order to find alternative resources to sugar, salt etc. The regulators should call for action. They should ask the industry to reduce sugar and the rest. Otherwise, the risk is that people who actually do it voluntarily will eventually be penalised in the competitive game. The European Consumer Organisation (BEUC) urged food companies on Wednesday (14 June) to stop using cartoon characters to promote unhealthy foods for children, saying they negatively affect their dietary behaviour. Could all the SMEs proceed to reformulation, considering the cost you mentioned before? Everybody can do it. It’s not just a question to find the magic ingredient. It’s a question to accept that you have to educate consumers to less sweet taste. If you see the formulation of a product today you will see that the level of sugar is much less than 30 years ago. Because the palate is completely different. If you consume today a product that you tasted 20 years ago you will ask ‘What is this’? It’s not so complex to take out 5% of sugar. You just have to accept that your product is less sweet. Now we want to reduce sugar up to 40% and we have developed hollow sugar crystals that will allow us in the future to reduce sugar up to 40% and keep a similar level of taste. If the industry starts going in this direction it means that in the future better products will exist in the market. Is there a timeline for this 40% cut? We have said we will look to start using this technology from 2018 onwards. 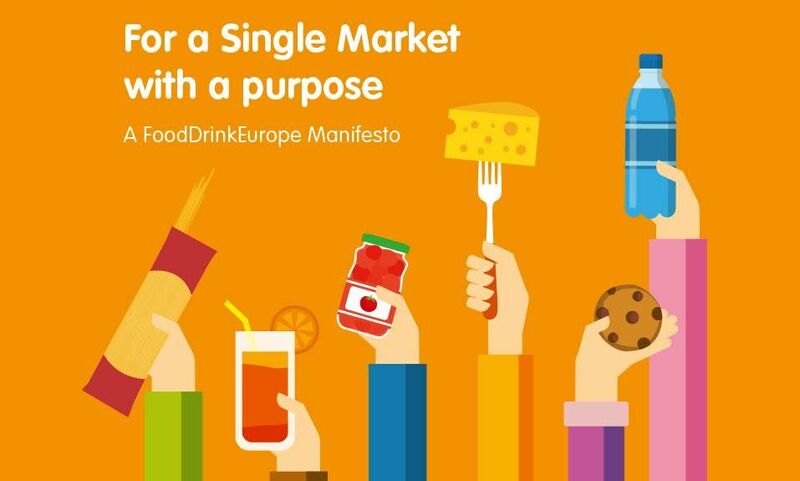 How do you see the functioning of the EU single market for food and drinks? Do you notice an EU tendency to “over-regulate” or introduce protectionist measures at member state level? It’s a shame that we don’t understand that we are undermining the construction of the EU. Why did we create the EU? Because we recognised that by working together it was better for the consumer, for the continent, the prosperity, and the economy and freedom. We don’t understand that this a fundamental issue of the EU construction. If the EU community starts to allow individual countries to take protectionist measures then it’s the end. The fragmentation that is going to be created by this is absolutely undermining the single market and the EU should stay firm in this. Food and drinks should have a clear common sense of regulation. Protecting some stuff that has specificities is okay, but the regulation should be the same and avoid creating uncompetitive situations. We need to go back to the EU fundamentals and stay together to face the rising economic competition from the US and China. Could the food and drink sector be a driver for the much-awaited EU growth? What specific policy steps should be taken in this direction? Absolutely. The exports to the rest of the world have risen thanks to the uniqueness of Europe’s products. We believe that the food and drinks sector could have an annual value added growth of 2.5-3.5%. It’s not only the biggest sector but it also plays a critical role in the economy of Europe. That’s why we ask for the commitment of the legislators to create the conditions for this growth. In recent years, Nestlé has focused on apprenticeships and traineeships for young people, aiming to bridge the gap between school and the workplace. Has this project worked out? Are you already planning any particular initiatives after 2020? Nestlé needs the youth initiative that we launched in 2013, which has created 20,000 jobs and 12,000 apprenticeships in Europe. We created an “alliance for youth” with more than 200 companies that joined the programme. In addition, until 2020 we aim to create another 35,000 jobs and training opportunities in our Zone Europe, Middle East, and North Africa. This is part of our DNA. We have always been a company that has recruited people from universities and tried to eliminate the gaps between schools and the labour market. 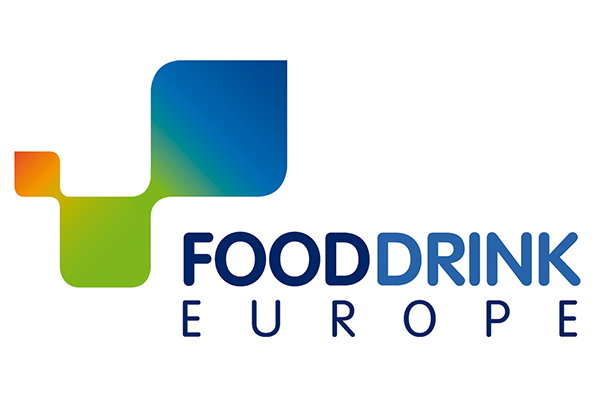 FoodDrinkEurope is the organisation of Europe’s food and drink industry. Our supply and manufacturing chains are largely integrated across the EU, whether for small or large businesses, and so is the intra-EU trade. The free circulation of goods guaranteed by the Single Market is essential to a competitive food industry, to uphold its 4.2 million jobs and its growth ambition. Read our Manifesto and find out more. The food and drink industry builds long-term partnerships with Europe’s farmers to secure a local agricultural supply, creates value and develops market opportunities for agricultural products and connects farmers and consumers in the food chain. Find out more in our latest report. FoodDrinkEurope aims to play an active role in the Brexit process. Our goal is to ensure the least disruptive outcome for the food and drink sector at large. Click here to read FoodDrinkEurope's recommendations on the Brexit negotiations. Out of 289,000 food and drink companies in Europe, 9 in 10 are SMEs. They are present in every region and stand for both tradition and innovation in our industry. They are also at the heart of the Single Market. They may be small in scale, but they are big in impact. They may be small in scale, but they are big in impact. They may be small in scale, but they are big in impact.